Have you heard all the jokes about you? 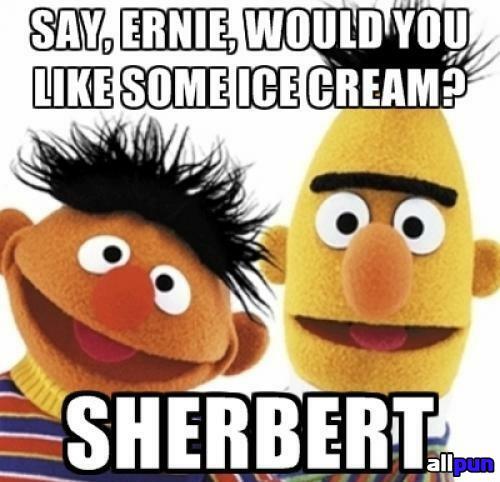 I figure you and Ernie have been listening. You know, however you both identify and who you love doesn’t really matter, you are icons we grew up with and cherish you regardless. These homophobic jokes are not funny though, and not just for LGBTQ people, ’cause heterosexual people should be pretty pissed off too. 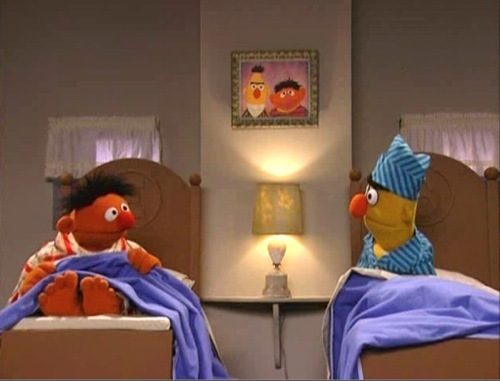 For the love of Rubber-Ducky, you slept in separate beds! 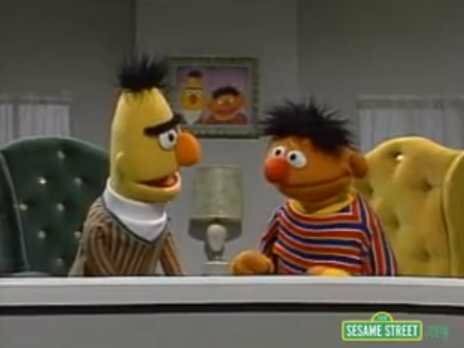 Yes, Bert, everyone should have their paper-clips in a tangle over this, and here’s why. We grew up watching you guys, seeing two males that were always together, caring for another, side by side. 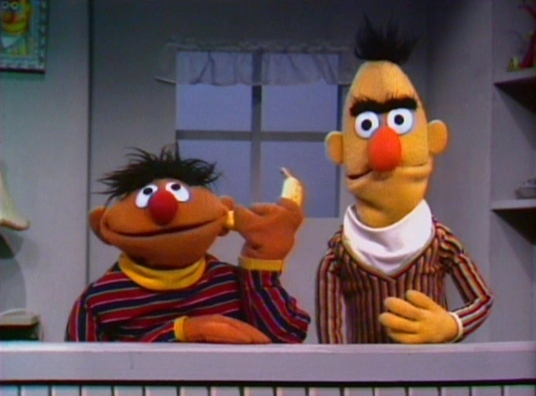 Ernie would get on your nerves, Bert, but we watched you both hang out without ever having to resort to macho behaviour at the expense of each other, bullying another or trying to feverishly assert ‘you are a man‘ at any given moment. That’s why people joked about you being gay. We are so used to young men and men interacting in a childish way to prove to everyone and no one, some sort of manly-super-hetero-man manliness. Two young men or men can’t be caring or brotherly towards another without someone making a joke questioning their manhood. Behaviour of hetero guys is policed by this nonsense, and think of the consequences for everyone. The changes we are seeing happen around attitudes and treatment of LBGTQ people are exciting, but we still have a long road to walk… together. The jokes about you two are proof, the way these issues affect us all are proof. Let’s find sunny days and a intersecting street where we can celebrate a real Moment of Joy. A day to celebrate friendship, connection and freedom to be ourselves.